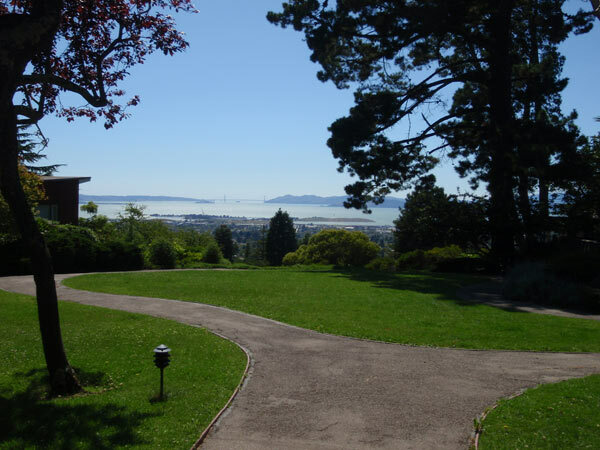 Developed between 1952 and 1958 by architect William Wurster, the two-and-a-half acre residential enclave has a central open green space and generous views across San Francisco Bay to the Golden Gate. 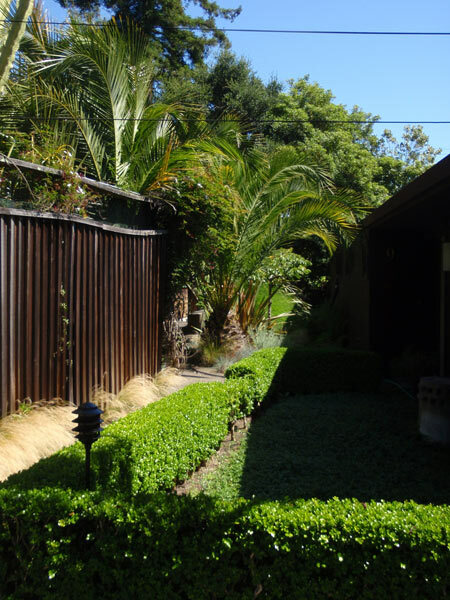 Wurster envisioned a small cluster of ten private homes surrounding a central green, a concept which combined an idealistic sense of community with a Modernist aesthetic and an awareness of regional traditions. 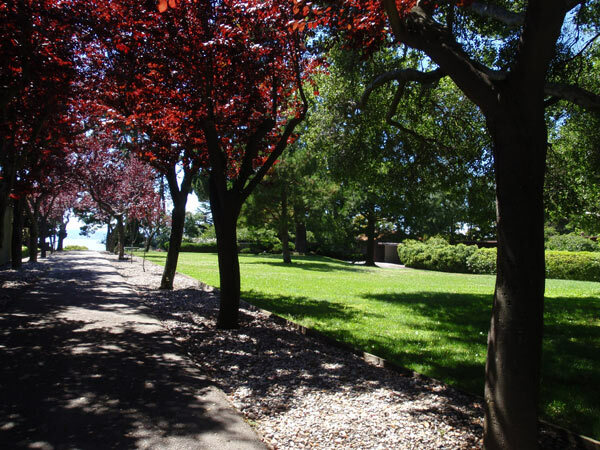 He invited friends and colleagues from the University of California at Berkeley to participate in the venture. The site design was carefully configured to provide privacy for every house and multiple points of entry for both pedestrians and vehicles. 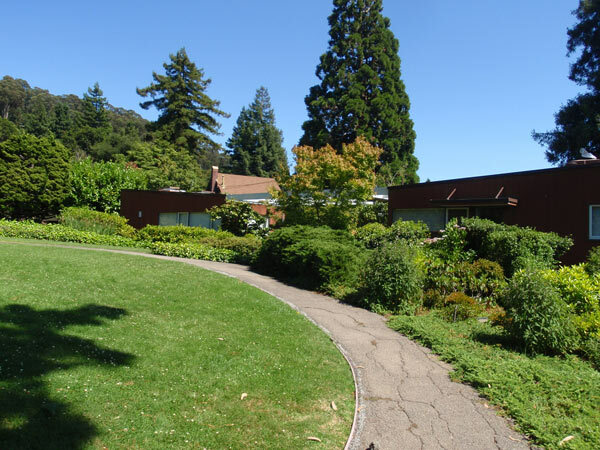 In 1955, the owners hired Lawrence Halprin to provide an overall design for the central green. His concept was based on the idea that the common area should operate as a functional community center rather than as a decorative piece. 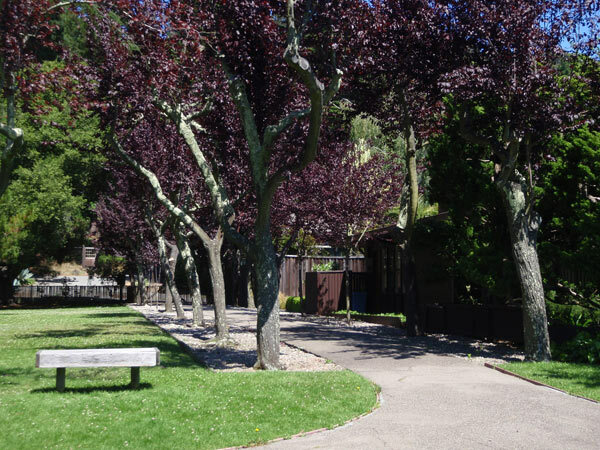 Halprin retained the existing Monterey pines, added a plum allée, a central lawn, and native, low-maintenance plants. 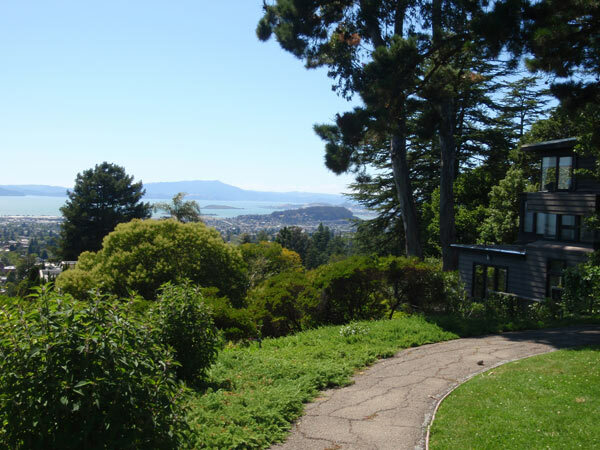 Each home also had its own private garden with a fence, four of which were designed by Halprin, one by Geraldine Knight Scott, and another by Burton Litton. 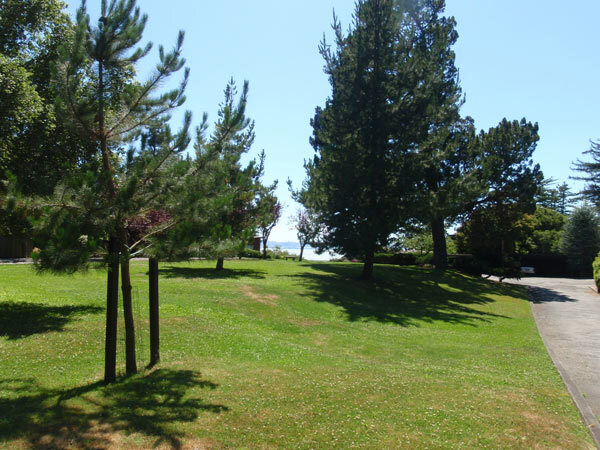 The two westernmost center lots were never developed, which allowed Greenwood Common to maintain the open view of San Francisco Bay shared by the owners of the homes. 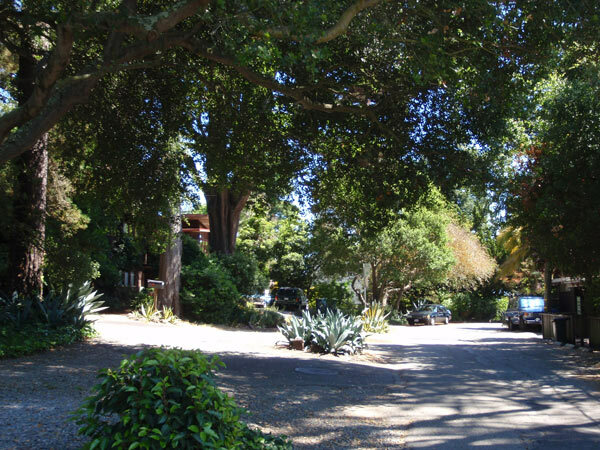 This private neighborhood was designated as a Berkeley landmark in 1990.